The fallout from the SNC-Lavalin affair is only beginning to rain down on Justin Trudeau and his Liberal government but it seems to be having an impact — one that could put the Liberals on track to defeat in this fall's federal election. The controversy surrounding allegations about political interference in the prosecution of SNC-Lavalin, a major Quebec-based engineering firm, and the subsequent demotion and resignation from cabinet of former attorney-general Jody Wilson-Raybould (followed by the resignation of the prime minister's principal secretary, Gerry Butts), is evolving on a daily basis. The first polls published since the Globe and Mail initially reported the allegations on Feb. 7 suggest that the Liberals have taken a significant hit in public support. The CBC's Poll Tracker, an aggregation of all publicly available polls, puts the Liberals and Conservatives neck-and-neck in voting intentions and virtually tied in the number of seats each party would be likely to win if an election were held today. Right now, there's no clear indication of which party would emerge with the most seats in a general election — a significant shift from where things stood at the end of 2018, when the Poll Tracker gave the Liberals a better than 90 per cent chance of winning an election. For the Liberals, the trend line might only get worse. Three polls that were conducted entirely after the initial Globe reports emerged have been published in recent days — from Campaign Research (Feb. 7-11), Ipsos/Global News (Feb. 14-18) and Léger/Canadian Press (Feb. 15-19). The last two surveys were conducted after Wilson-Raybould's resignation from cabinet and include some data gathered since Butts stepped down on Monday. 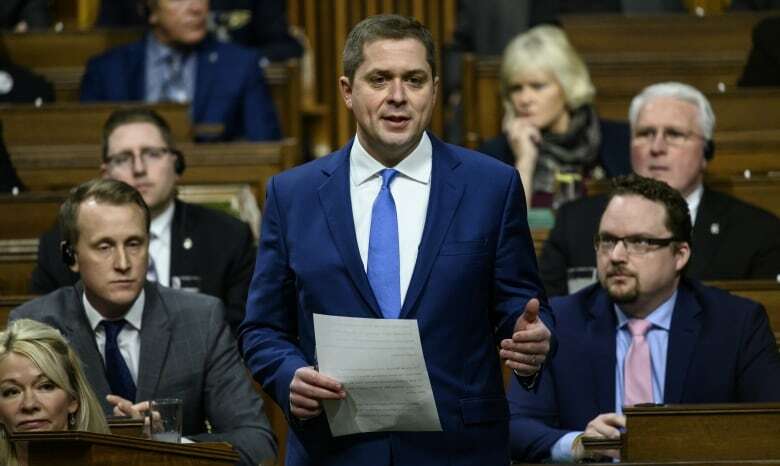 Campaign Research showed the Conservatives ahead with 37 per cent to 32 per cent for the Liberals, while both Ipsos and Léger put the margin at 36 to 34 per cent in the Conservatives' favour. Since December, when both polling firms were last in the field, the Liberals have lost one point in Campaign Research's polling and four percentage points in the Ipsos poll, while the party is down five points since November in the Léger poll. The Conservatives have gained two to three points over that time. The only shift that appears statistically significant is the five-point Liberal slide recorded by Léger — but the fact that all three polling firms are picking up similar trends suggests that the swing between the Conservatives and Liberals is real. 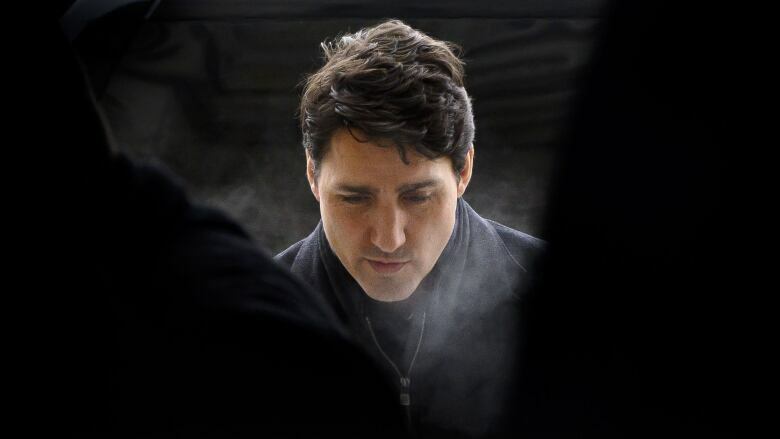 Campaign Research also picked up a drop of four points in Trudeau's own approval rating (to 35 per cent), while Ipsos found the number of respondents saying the Liberals deserve to be re-elected has plummeted eight points since December to 38 per cent. Léger reports satisfaction with the government is down nine points and Trudeau's own score on Canadians' preference for prime minister is down seven points to 26 per cent. That this drop did not result in any sizeable gain for any of his opponents suggests it's more about Trudeau himself than it is about the performance of any other party leader. The Léger/Canadian Press poll provides some indications of the impact of the SNC-Lavalin affair in particular. The poll finds that Canadians are paying attention, with 67 per cent reporting some awareness of the story. Of those with some knowledge of the controversy, 41 per cent agreed with this statement: "Yes, the prime minister did something wrong." Only 12 per cent said that the prime minister "did not do anything wrong." Another 41 per cent said that they were "not sure either way," suggesting that many Canadians are still waiting to learn more before coming down on one side or the other. That might be the silver lining here for the Liberals: most Canadians polled either believe the prime minister or are still giving him the benefit of the doubt. But it also means that if the story generates more negative headlines for the government (and there are few indications so far that it won't), there aren't very many Canadians predisposed to believe the Liberals' side of the story. While the impact of the affair has sapped the Liberals in every part of the country, there is a difference between what the polls are saying in the two largest provinces that inevitably will decide the next federal election. The swing was more pronounced in Ontario than it was in Quebec, where concerns about the impact of the affair on SNC-Lavalin's future have been more prevalent. The Conservatives gained between three and six points in Ontario in the three surveys, averaging a gain of just under five points. The Liberals lost between three and seven points, for an average loss of just over five points. Both Ipsos and Léger recorded slides for the Liberals in Ontario sizeable enough to be statistically significant. In Quebec, however, the Conservative gain was only three to four points, with the Liberals dropping two to four — all within what would be the margin of error for probabilistic samples of the sizes surveyed in the province. The trend is pointing in one direction, which is notable. But so far, the impact in Quebec seems less pronounced. Both Léger and Ipsos still give the Liberals a double-digit lead in Quebec, while the race is now either tied or leaning Conservative in Ontario. That could have some important electoral implications if the trends hold. As it stands now, the Liberals are still projected to gain seats in Quebec — perhaps about a dozen — but are also on track to lose as many as 30 in Ontario. Even if the Liberal slide in support halts, that alone would make it nearly impossible for Trudeau to secure another majority government in the fall. Of course, October's federal election is a long way off. The SNC-Lavalin story and the polling trends might change (and change again, and again) between now and then. But based on where the story and the trends are heading now, the Liberals have to hope for a swing back in their direction.